Several Malware programs can harm Google Chrome by installing malicious extensions inside your browser. In this case Google Chrome can't open properly or run into performance issues and crashes. 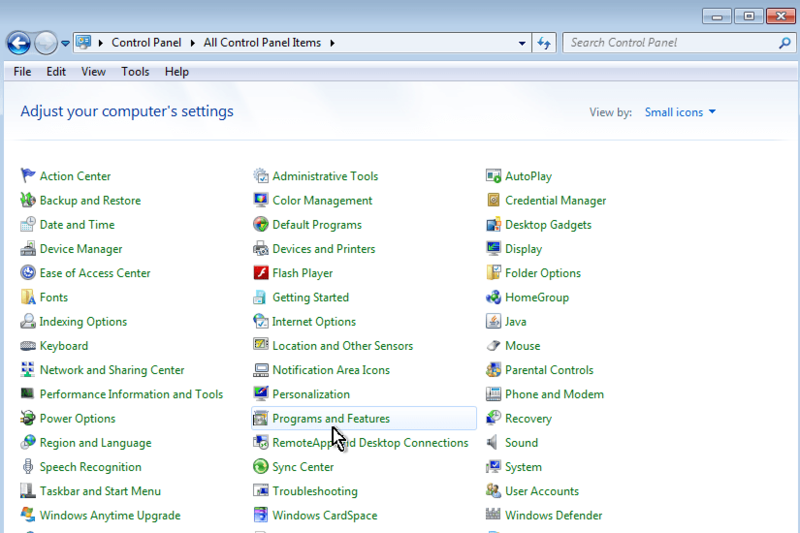 In these cases the first option you have is to manage and remove all unwanted extensions and settings. But sometimes this is not enough and the only way to get your favorite browser back to normal is to completely uninstall Chrome from your computer and then to re-install it again. Suggestion: Before proceeding to completely remove Google Chrome from your computer, you can try to force Chrome to create a new clean profile folder (User Data). 2. Navigate to the below location (according your OS). * e.g. If your username is “User1” then the Chrome profile folder "User Data" is stored folder at "C:\Users\User1\AppData\Local\Google\Chrome\User Data"
* e.g. ‘If your username is “User1” then the Chrome profile folder "User Data" is stored at "C:\Documents and Settings\User1\Local Settings\Application Data\Google\Chrome\User Data"
3. Rename the "User Data" folder to "User DataBAK". 4. Launch Chrome and check if the problem persists. 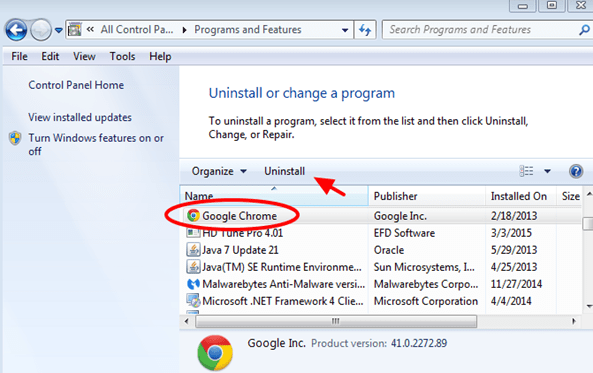 How to completely remove Google Chrome browser (Program & Settings). 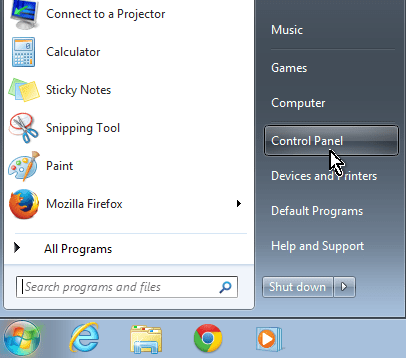 Step 1: Uninstall Google Chrome from Control Panel. Step 2. 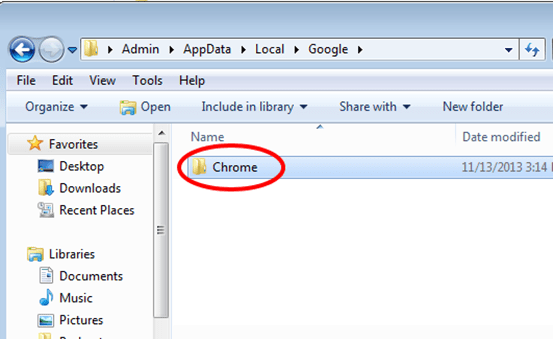 Remove Google Chrome program folder. Step 3. Remove Google Chrome Profile storage folder. * Attention: Keep in mind that, by deleting your Chrome profile storage folder you delete all the stored data (Bookmarks, Settings, Extensions, History, etc.) . So prior deleting your Chrome profile, take a backup of your Chrome bookmarks in case that you want to re-install Chrome again. Rename (e.g to "ChromeBAK") or Delete* the Chrome folder. That's All folks! Now you can perform a fresh install of Chrome browser to your computer. « Remove RadioRage hijacker (Removal Guide)	» How to fix "Preferences Cannot Be Read" Chrome error. Thank you so much for suggesting Rename the "User Data" folder to "User DataBAK". I was suffering from the JS/Redirector Trojan everytime I used Chrome and nothing that I did could get rid of it. Google Chrome wasn't even appearing on my list of programs to uninstall. Creating a new User Data folder kept the trojan virus from reappearing.